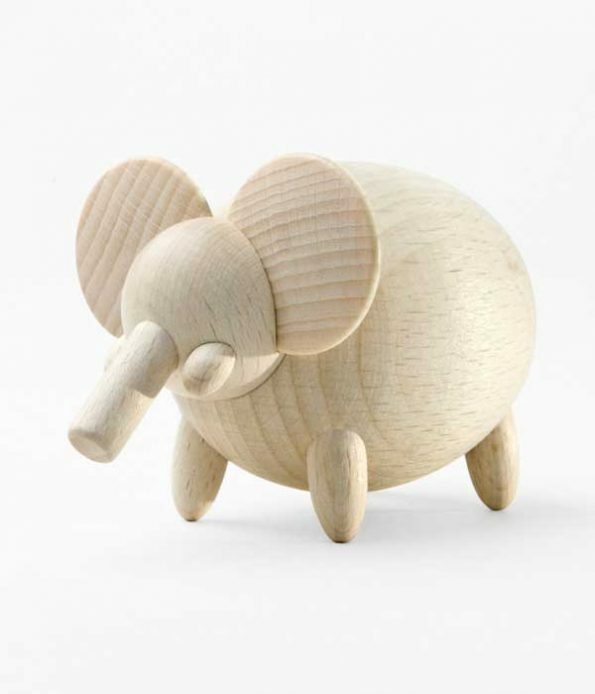 A cool wooden Elephant in smooth geometrical shapes. Playing with this entertaining toy helps children learning geometrical shapes. This cool Elephant is part of the Tondotti Family: Cute, handmade wooden animals in simple geometrical shapes that can be used as toys, party favours, placeholders or decoration items. Your children will soon identify the familiar geometrical shapes (spheres, cylinders, etc.) used in the making of these entertaining toys. Their smooth profiles and geometrical shapes create funny but refined characters, sure to bring a lot of fun wherever they go! The Tondotti family of collectible wooden animal figures also includes a cow, a rabit and a horse that you can buy individually or as a package. 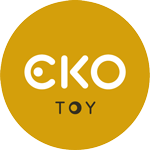 All toys are handmade using 100% FSC beech wood, harvested from an eco-friendly forest respecting natural and social aspects.